"Real Name" is a required field. The Best Indie Book Award™ (or BIBA™) is an annual literary award contest recognizing independent authors in a number of major genres. Entries are limited to independently (indie) published books, including those from small presses, e-book publishers, and self-published authors. The Best Indie Book Award™ is an international, self-published writing contest open to all countries. Submissions must be written in English. Now Taking Submissions For The 2019 Best Indie Book Award™! Submissions close Noon EST, Oct 1st, 2019. Winners will be announced by December 15th. Entries must be independently published (self-published) and your own work. (In other words, you retain full rights to your book.) For example, if you are published through Amazon’s KDP, Nookpress, Smashwords, Createspace, or any vanity press, and you retain all rights to your book, then you are eligible to enter the contest. We have expanded our contest to also include books published by small, independent presses. Entries will be judged based on multiple writing skills, which include story-telling ability, author’s ability to engage the reader, transitions, pacing, movement of the story, author’s skill with voice, character, dialogue, and narrative. Grammar skills will also be taken into consideration. See more about judging in F.A.Q. Please read the F.A.Q. and Terms before entering. For administrative purposes. Not made public. Best email if we need to contact you. (Please make sure it is correct.) *Use only lowercase letters. Address needed to ship award. Please type full mailing address. (The Book Blurb) This is for promotional purposes only. *Tip: You can click and hold the bottom right corner of the text area and drag it down to make it bigger. Need Help Getting a Mobi File? Check out How to Obtain Files for Submission for tips on getting a mobi or doc file if you do not have one. A link to your website. Must start with http:// or https:// (example: http://mywebsite.com ) If you don’t have a website, you can use your author profile page on Amazon. 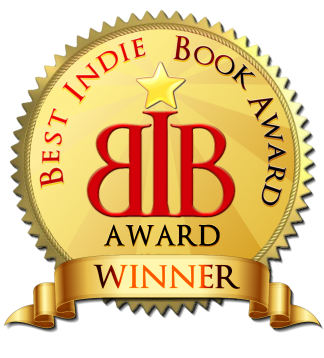 The Best Indie Book Award™ is an annual literary award contest recognizing independent authors in twelve major genres. Entries are limited to independently (indie) published books, including those from small presses, e-book publishers, and self-published authors. The Best Indie Book Award™ has been mentioned by many best-selling authors and on many author related websites and blogs, including Alinka Rutkowska in her book HOW I SOLD 80,000 BOOKS: Book Marketing for Authors (Self Publishing through Amazon and Other Retailers). USA Today and New York Times best-selling author Kathy Clark is among previous winners, as well as Movie Producer Eran Gadot. Books must be submitted in English, but submissions are not limited to authors in the United States. Previous winning entries have come from Japan, Israel, the United Kingdom and other countries. How Do We Define Independently Published? 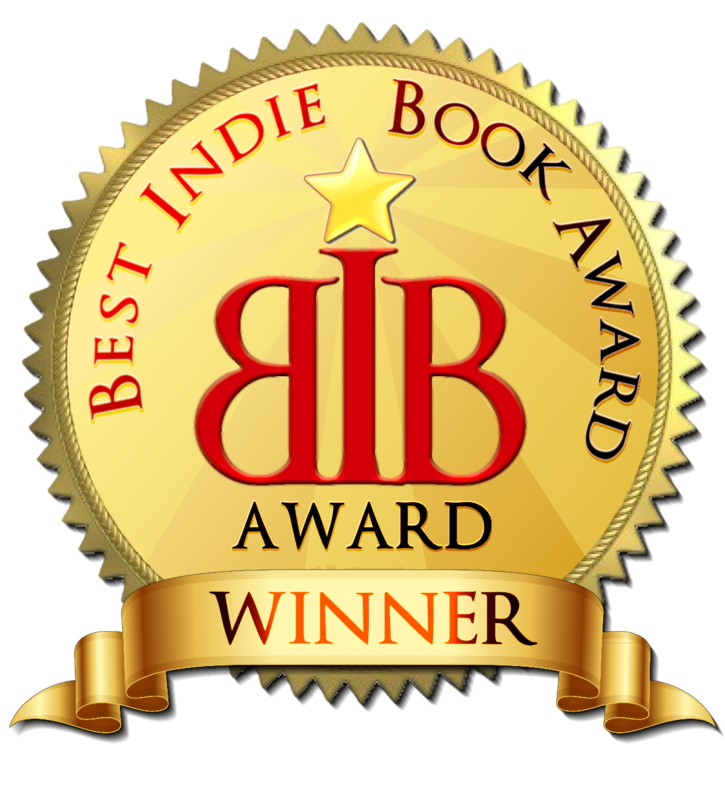 Anyone who retains the publishing rights to their book is eligible to enter the Best Indie Book Award contest. For example, if you are published through Amazon’s KDP, Nookpress, Smashwords, Createspace, or any vanity press, and you retain all rights to your book, then you are eligible to enter the contest. (Most authors fall under this and are eligible.) We have expanded our contest to include books published by small, independent presses. If you have a publishing contract with a major publisher for the book you are entering, the book would not be eligible. There Will Be One Winner In Each Category. 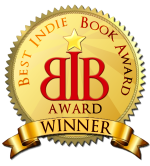 The Best Indie Book Award™ Emblem to proudly display on their website and book cover. The emblem can be used to promote your book wherever you like. 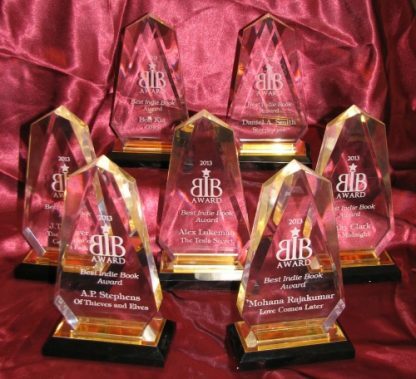 A physical Best Indie Book Award™ trophy to display at book signings, in their office or home. Their winning book featured in advertising, email, social networks and other means. Their book displayed on the front page of the Best Indie Book Award website and listed on the permanent, archived “Winners” page of this site. 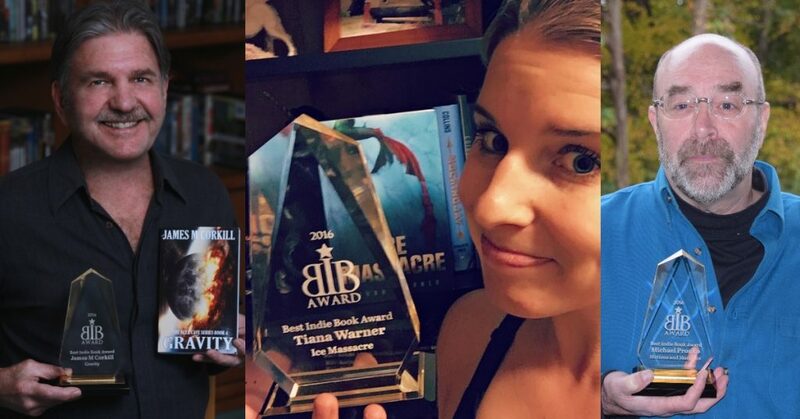 Winners can proudly mention their award everywhere, including in their book blurb and bio.